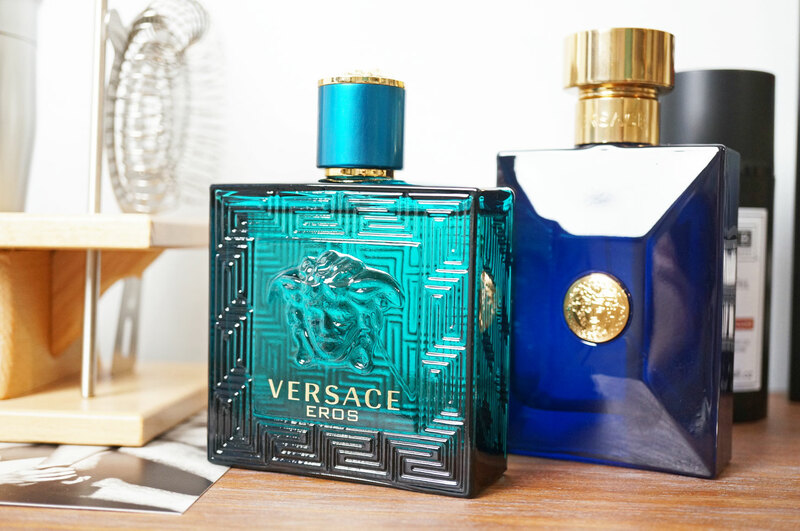 Starting with two fragrances from Versace – Versace Dylan Blue EDT (From £40.00 for 30ml at House of Fraser) is a striking, masculine scent, that (in my opinion) would suit an older or sophisticated gent. Though I say this, Dylan Blue is still a modern fragrance – intense and charismatic, it opens with citrus notes of bergamot and grapefruit, intertwined with nuances of fig leaf and aquatic notes. In the heart, violet leaves and black pepper mingle with aromatic and woody tones, and the base is a combination of musk, tonka bean, saffron and incense. Top Notes: Calabrian Bergamot, Grapefruit, Fig Leaves and Aquatic Notes. Heart Notes: Violet Leaves, Black Pepper, Papyrus Wood, Ambrox and Patchouli. Base Notes: Mineral Musk, Tonka Bean, Saffron and Pyrogéné Incense. In contrast, Versace Eros EDT (From £52.00 for 50ml at House of Fraser) to me is a more youthful fragrance. Inspired by Eros, the god of love from ancient Greek mythology, Versace Eros EDT is an intensely refreshing, luminous yet sensual fragrance. With top notes of mint, citrus and crisp apple peel, the fragrance opens with a luminous and fresh impact. The heart of tonka bean and ambroxan creates an intriguing oriental signature, and Madagascan vanilla gives a hint of creaminess, while greenery in the form of oakmoss and cedarwood round off the sensual base. Top Notes: Mint Oil, Italian Lemon Zest and Green Apple. Heart Notes: Tonka Bean, Ambroxan and Geranium Flower. Base Notes: Madagascan Vanilla, Oak Moss and Cedarwood. 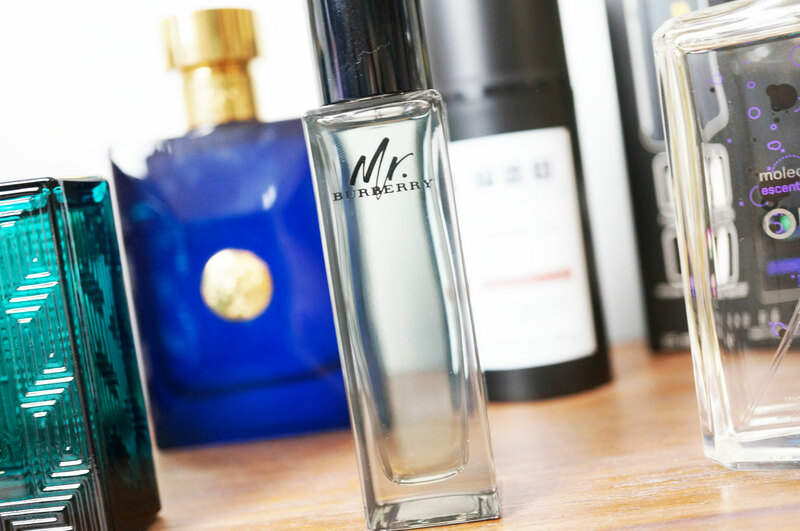 Another fantastic male scent is Mr Burberry EDT (From £40.00 for 30ml at House of Fraser) – described as classic yet contemporary; sophisticated and sensual, Mr Burberry captures the essence of London and its moments. Fusing classic scents of British perfumery with unexpected ingredients, it boasts fresh and crafted top notes of crisp zesty grapefruit, cut with a seductive base of earthy vetiver and smokey guaiac wood. If you haven’t heard of Escentric Molecules Molecule 01 fragrance, it’s definitely one to try whether you’re male or female. Interestingly, rather than having a traditional layering of top, heart and base notes, Molecule 01 is created solely from the aroma-chemical Iso E Super, which is traditionally a base note that adds the feeling of allure to a scent. The idea is that this works as more of an effect than an actual scented fragrance. 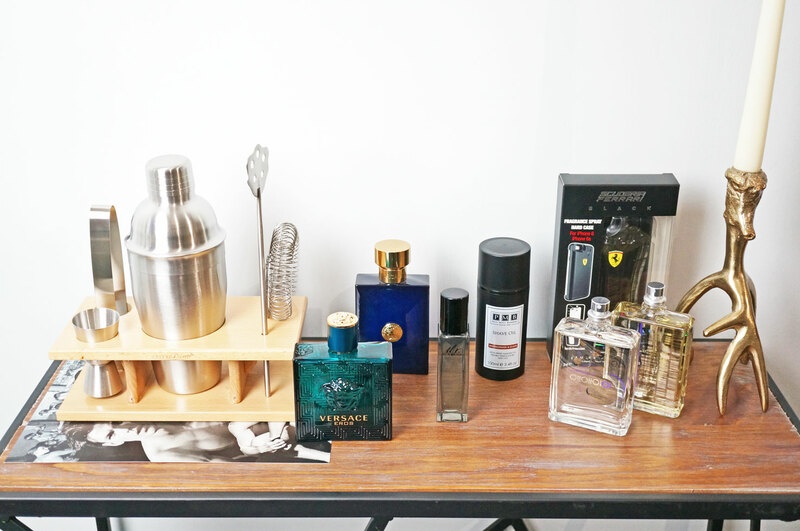 It has a very subtle, velvety, woody note which blends with your natural pheromones, and it’s worth noting that you will rarely smell this fragrance on yourself. Molecule 01 is more about the effect it has on others. 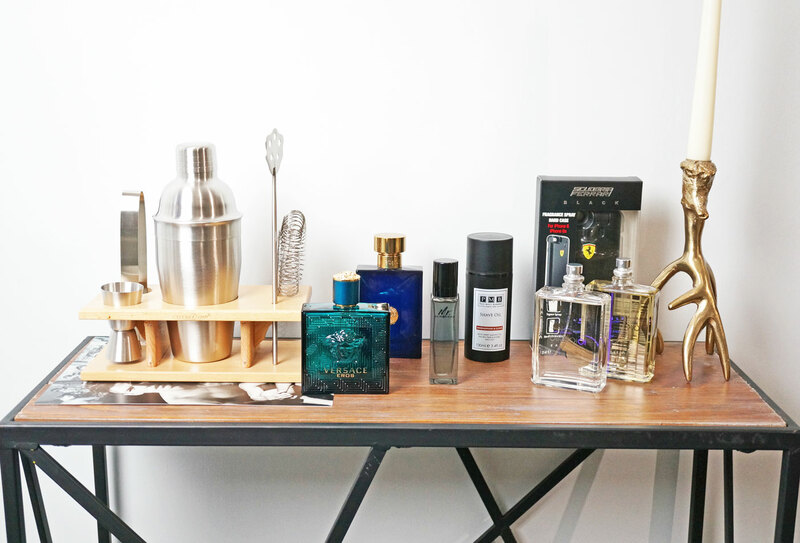 And there’s also Escentric 01, which uses the same chemical Iso E Super, but unlike Molecule 01, this fragrance also includes notes of Pink pepper, Lime Peel, and Balsamic notes like Benzoin, Mastic and Orris Incense. Moving away from the traditional fragrance journey through top, heart and base notes, Escentric 01 moves quickly from top to bottom, eventually lingering on a sensual, woody musky finale. 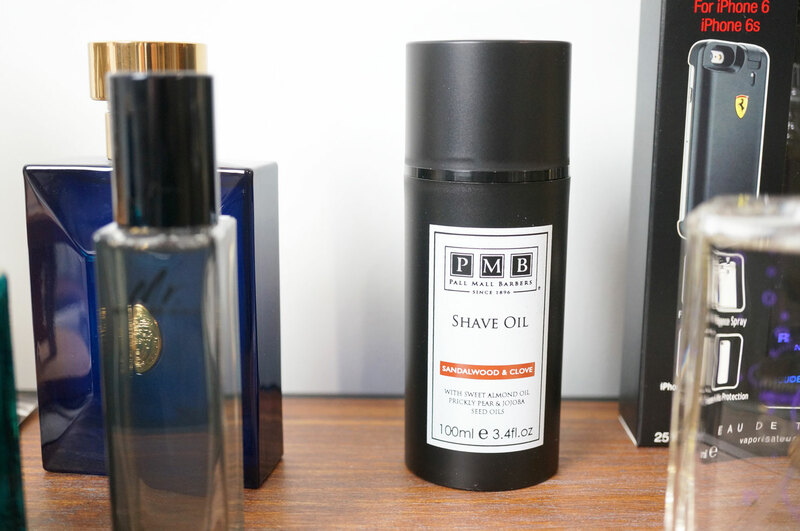 Pall Mall Barbers Sandalwood and Clove Shave Oil (£22.00 at Pall Mall Barbers) – everyone and their dad has a beard right now, so I felt a Shave Oil would be very fitting for this guide. Pall Mall Barbers Sandalwood and Clove Shave Oil has been formulated with Sweet Almond and Jojoba oils, to soften stubble whilst protecting sensitive skin, this product adds an additional protective barrier between the skin and the razor blade, enabling a smoother glide, a closer shave and a more precise finish. Ferrari Fragrance iPhone Cover (£30.00 at Boots) – ok so this is a bit of a strange one, I think you’ll either think this is a great idea or you just won’t. 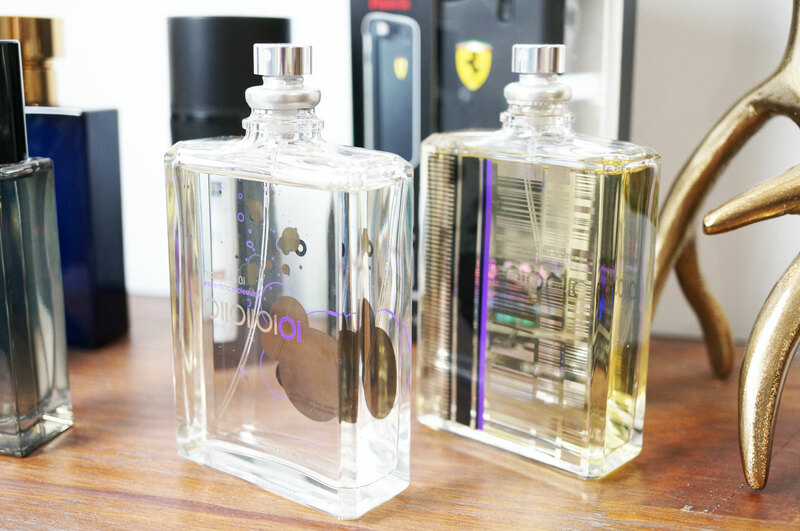 So Ferrari Fragrance have created an iPhone cover, but it’s also a cologne! 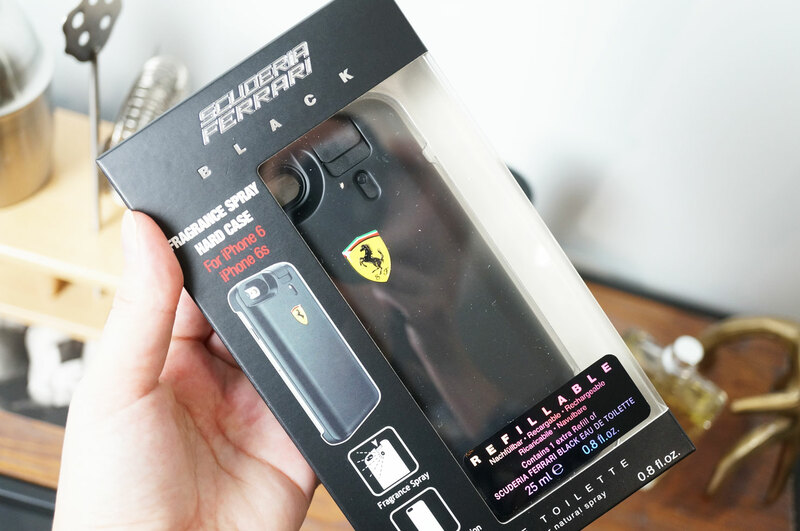 The cover fits the iPhone 6 and 6s and contains 25ml of Ferrari Black or Ferrari Red EDT inside, so you can spritz and refresh your fragrance when you’re on the go. I think it’s a pretty cool idea! Plus you get an extra 25ml refill included in the box, which is handy. What do you think? Is this a hit or a miss? And lastly, this Cocktail Tool Set (£29.99 at Find Me A Gift) – I always think a cocktail set isn’t really something you’d really buy yourself, but it’s definitely a handy thing to have. 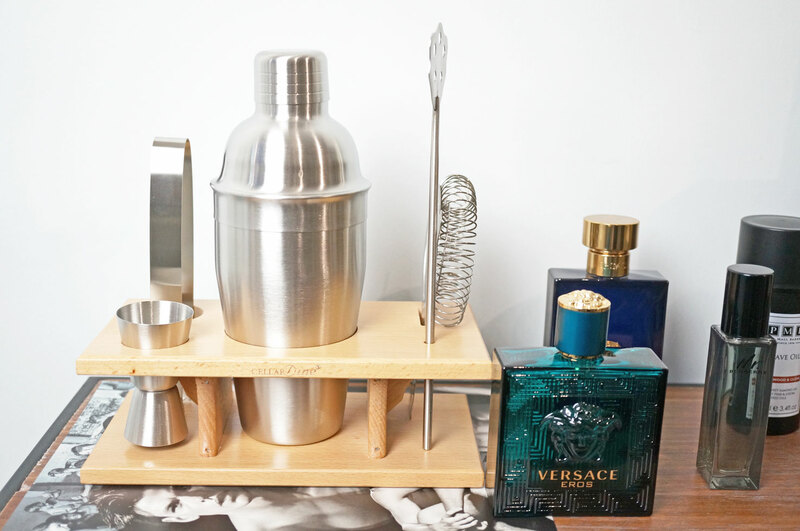 This set contains a stainless steel cocktail shaker, a stirrer, double jigger, a strainer and ice tongs, all displayed in a beech wooden stand – and there’s also a handy recipe booklet included too to give you some ideas – all you need to do is buy the drinks and get some friends over!